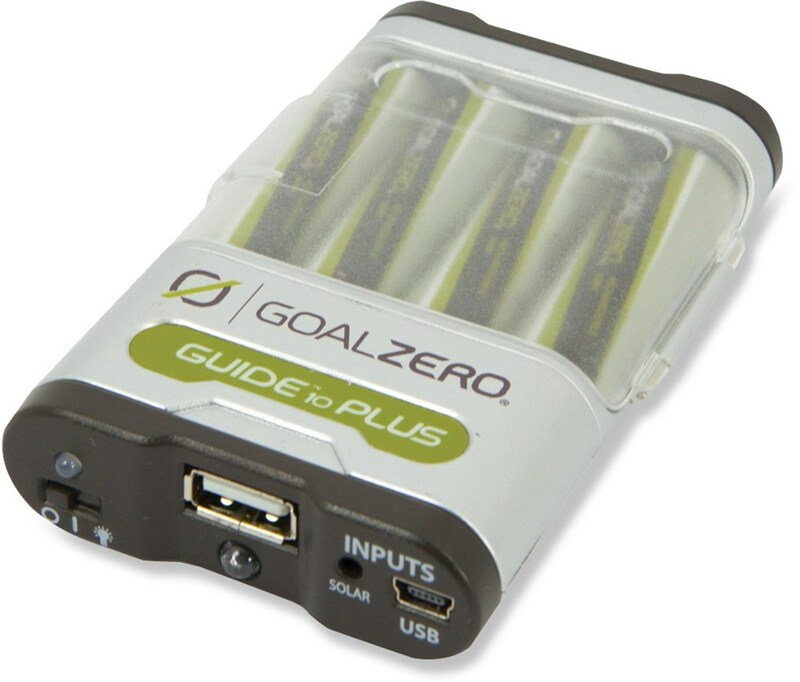 Pack enough power to keep your electronics charged up during your adventures with the Goal Zero Venture 30 Solar Power Storage Recharger. 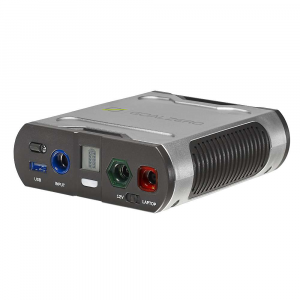 30-watt-hour, 7800mAh power pack can charge phones, tablets, cameras and more. Built-in Micro-USB Tip allows for tangle-free charging of phones and tablets and uses certified cables for efficient charging. 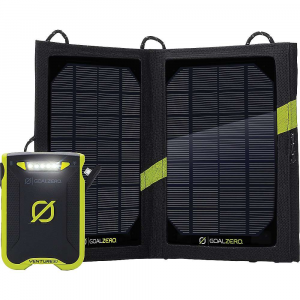 Compatible with the Nomad 7 Solar Panel, making the pack Solar Ready. Charges in nine hours of full sun from the Nomad 7 and four hours from a USB. Two high-speed USB ports dish out power quickly and can be used at the same time. Integrated flood charge optimizes your charging time. Fully waterproof construction ensures it will last no matter what weather you use it in. 4.5L x 3.25W. Cancer and Reproductive Harm- www.P65Warnings.ca.gov. Type: Battery Packs. The Venture 30 is more than just a battery, it's a lifeline to adventure, a conduit for exploration. Use it to keep the moment alive, to push the limits of your creation, to keep the essential charged and ready for what happens next - no matter the weather. Phones, cameras, tablets, whatever else you need to follow your passion, keep it all going from one adventure to the next. Goal Zero Camp & Hike Venture 30 Recharger 22008. 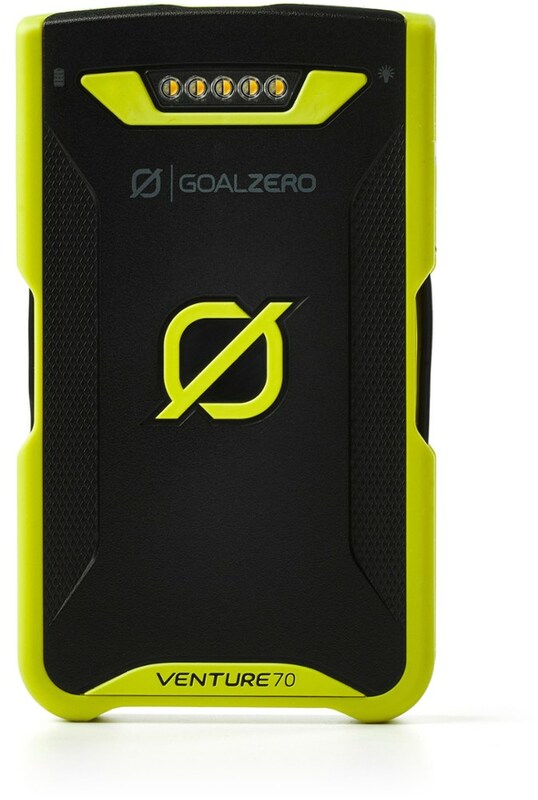 With an IPX6 weatherproof rating and 7800mAh the Venture will keep everything running smoothly. 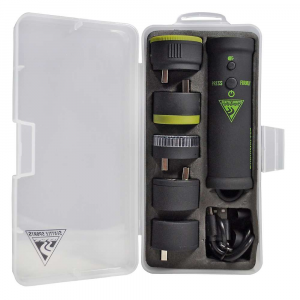 This rugged and weatherproof recharger powers up your portable electronic devices when you're on the go. Its light, compact design is perfect for the airport or the hiking trail.